. Audi is now accepting orders for the compact family SUV. The base price for the Q3 in Germany is 33,700 euros. 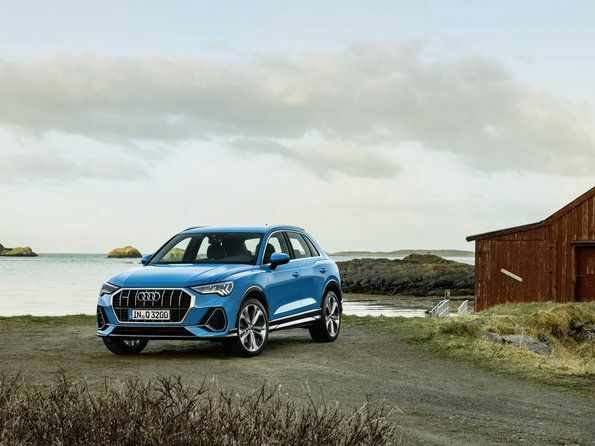 The new Audi Q3 looks much sportier than its predecessor – with the striking Singleframe in octagonal design, large air inlets and strong muscles over the wheel arches. Compared with the first generation, the compact SUV has grown in virtually all dimensions. It is 4,484 millimeters (14.7 ft) long, 1,849 millimeters (6.1 ft) wide and 1,585 millimeters (5.2 ft) high. Its wheelbase, which has been stretched by 77 millimeters (3.0 in), offers lots of space. At the same time the Q3 is extremely versatile – thanks to the rear seats, which can be adjusted fore/aft and for tilt, height-adjustable loading floor along with numerous storage compartments. Depending on the position of the rear seats and backrests, the luggage compartment capacity is between 530 and 1,525 liters (18.7 and 53.9 cu ft). 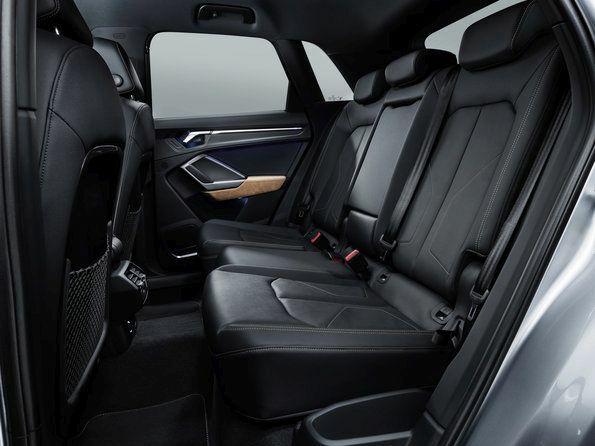 In typical SUV fashion, the Audi Q3 combines easy access and good all-round visibility with a sporty seating position. The steering wheel is steeply angled accordingly. The seats – electrically adjustable as an option – offer comfort from the next larger vehicle category. The highlights include the new operating and display concept: even the basic version of the Audi Q3 comes with a digital instrument cluster. In conjunction with MMI navigation plus, the driver controls the extensive infotainment via the 10.1-inch touchscreen display in the center console. Together with the air conditioning controls, it is tilted ergonomically toward the driver. Operation is intuitive and easy to follow thanks to the flat menu structure. Alternatively the driver can issue commands using voice control. 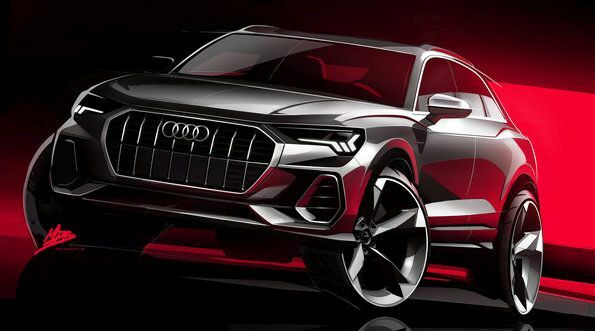 The Q3 is also extensively connected with the data transmission standard LTE Advanced, Wi-Fi hotspot and Audi connect services. The navigation system recognizes the driver’s preferences based on previous journeys, allowing it to generate suitable route suggestions. Points of interest, parking spaces and filling stations appear directly on the navigation map. 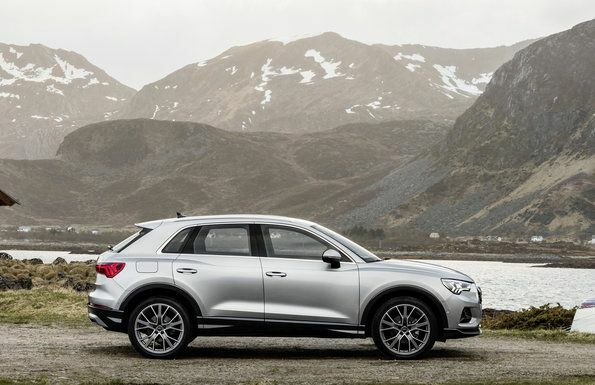 The SUV utilizes the Audi fleet’s swarm intelligence to forecast the availability of roadside parking space, to provide information on hazardous spots and current speed limits. The myAudi app supplements the portfolio and seamlessly connects the smartphone to the Q3. The customer can, for instance, transfer navigation routes and the smartphone calendar to the MMI and locate where their car is parked. Like with the brand’s full-size models, the Audi Q3 also offers a range of innovative assist systems, including adaptive cruise assist. It incorporates the functions of adaptive cruise control, traffic jam assist and active lane assist. In this way it assists the driver with longitudinal and lateral control – substantially enhancing comfort on long journeys in particular. Along with the Audi pre sense basic and Audi pre sense front safety systems, the Audi side assist lane change warning system and the Audi active lane assist are fitted ex works. 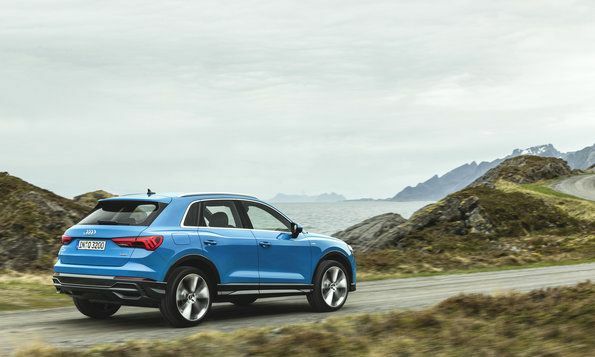 The new Audi Q3 enters the German market with two engines and front-wheel drive. The entry-level engine is the 1.5 TFSI with 110 kW (150 hp) and 250 Nm (184.4 lb-ft) of torque. It features the cylinder on demand system, which switches off the second and third cylinder temporarily at low and medium loads, thus helping reduce fuel consumption. With the manual six-speed transmission, the Audi Q3 35 TFSI (combined fuel consumption in l/100 km: 6.3 - 6.0* (37.3 - 39.2 US mpg); combined CO2 emissions in g/km: 145 - 139* (233.4 - 223.7 g/mi)) accelerates from 0 to 100 km/h (62.1 mph) in 9.6 seconds, and takes it to a top speed of 211 km/h (131.1 mph). If the customer chooses the seven-speed S tronic (combined fuel consumption in l/100 km: 5.9 - 5.7* (39.9 - 41.3 US mpg); combined CO2 emissions in g/km: 134 - 130* (215.7 - 209.2 g/mi)), the sprint takes 9.2 seconds, with the propulsive power ending at 207 km/h (128.6 mph). The same figures also apply to the Audi Q3 35 TDI with S tronic (combined fuel consumption in l/100 km: 4.9 - 4.7* (48.0 - 50.0 US mpg); combined CO2 emissions in g/km: 128 - 123* (206.0 - 197.9 g/mi)). The smooth-running two-liter engine also produces 110 kW (150 hp) and delivers 340 Nm (250.8 lb-ft) of torque to the crankshaft.